Dr Aarti Narayan-Denning is a fully registered GP and Aesthetic Doctor in Aesthetic Medicine. She carries out all our injectable treatments including botox and dermal fillers. She is Board Certified by the The American Academy Of Aesthetic Medicine, and is an Assistant Trainer for the their UK chapter. She commenced her training in non-surgical cosmetic treatments in 2009, starting with Botox, dermal fillers and peels. She then went on to work with National cosmetic treatment provider Cosmedoctor between 2010 and 2012. From 2012 she carried out medical cosmetic treatments and consultations for Evolutions in Winchester until December 2015, and for Changes Clinic in Portsmouth until May 2016. Beyond the standard injectables such as botox and dermal fillers, Aarti is adept in the full spectrum of non-surgical cosmetic treatments, such as platelet rich plasma therapy, thread lift (PDO and Silhouette Soft) procedures and intralipotherapy (fat removal injections). She performs a Specialist Aesthetic assessment of face structure and aging patterns to determine the combination of treatments that will work best for each patient. Her aesthetic approach is based on multicultural beauty “Phi” analysis, which ensures that treatments are based on each patient’s face, and avoids the distorted results that occur when people treat “just the nose to mouth line” or “just the top lip”. She is trained to assess skin lesions such as moles, skin tags, thread veins and manage appropriately or advise on onward referral to a specialist. Dr Narayan-Denning sees herself as a Doctor and GP first and then an Aesthetic Doctor. She believes in the principle of Primum Non Nocere – Latin for “First do no Harm” from the Hippocratic Oath, and will readily inform a patient if she feels their choice of procedure could be unsafe for them. If she thinks a patient may be unable to perform the aftercare require, she will suggest they postpone their treatment to a more suitable time. Some clients may find this approach dramatically different from the sales-driven pitches they have been used to. But most well-informed patients, clients “in-the-know”, and expert aesthetic patients find this a refreshing change, and have remained delighted customers for years. It is a sad truth that peer pressure and social media often result in inappropriate requests for cosmetic treatments from young or vulnerable people, and unfortunately from parents who succumb to their children’s requests for temporary enhancements like botox and fillers. Agreeing to these requests may be a short term fix, but often leads to a lifetime of insecurity and a dysmorphic approach to face, food, figure and relationships. In the best interests of patients, Dr. Denning requests that all patients seeking cosmetic enhancements be at least 21 years of age (and definitely above 18 for consultation). Of course, this does not apply to younger patients with extenuating circumstances, or those scars and injuries who wish to seek advice, preferably with the support of their families. I first saw Aarti about three years ago. At the time I was suffering from recurrent cystic acne nodules, as well as regular spots. At any given time I would have two or three very large under-the-skin lumps/boils on my face. I had tried every product/treatment I could think of. From cheap drugstore face washes and scrubs, to expensive creams and lotions (eg, Creme de la mer, La Prairie, Rodial, Everything in Space NK etc etc! ), various kinds of acids (salicylic etc), clarisonic, oral antibiotics (oxytetracycline, doxycycline), LED light therapy, purifying facials, everything. None of this worked – in fact my skin was pretty angry and red most of the time. My meeting Aarti came about when she advised me to stop a much more expensive LED therapy I was receiving and suggested I have a consultation with her. We discussed my lifestyle and the various treatments I had tried, and she recommended a totally different and MUCH more simple (and affordable!) skin care regime alongside one medicated prescription cream and a few lifestyle changes. To say that this treatment plan changed my life is an understatement – after a decade of battling confidence crushing acne I finally had clear skin. People can hardly believe now that I ever had a acne problem in the first place. Dealing with problem skin is different in every case, and Aarti listened to my treatment history and advised on the best route forward for me. I have continued the same treatment plan for about three years now, and have had only three large acne cysts in that entire time – whereas before I would get around 8 a month. I couldn’t be happier with Dr Aarti Narayan-Denning’s work and the advice she has given me. I have already seen a dramatic difference in a short space of time. After years of avoiding any cosmetic procedures due to worry of making an ill-judged decision and not getting the desired results, my research has paid off and I couldn’t be happier that I have found Reverse Time. Dr Aarti Narayan-Denning offers much more than just a cosmetic procedure, she has also helped me to understand my skin which in turn has changed the way I approach my skin care regime for the better. As always the treatment Dr Aarti Narayan-Denning provided was done in a professional, friendly manner, she always makes time to discuss the most appropriate treatment for my particular case. Aarti has always provide me with the best advise and has a aesthetic eye, so the treatments she provides are fantastic. I feel confident when I go to her that I am in a safe pair of hands. Aarti Denning is really friendly and professional. She works with you to create the desired outcome and makes you feel at ease. I would recommend her to anyone. I would not hesitate to recommend Dr Aarti, I really appreciated the time that she spent explaining the treatment to me and answering any questions or concerns I had. She gave me a full explanation of the fillers that would be suitable (I had an 8 point lift) and during the treatment she was careful to check that I was comfortable. I had the 8 point lift 4 days ago now and I am delighted with the results! I have had no bruising and I think that this is due to the care and time that Dr Aarti takes performing the treatments. I can not recommend her highly enough. I’ve seen Aarti Denning a few times now for my treatment for wrinkles and have never been disappointed. A big plus also is that you get rebooked back in two weeks later for a review. Very affordable and offers monthly price plans too! I was recommended to Aarti after having a bad experience somewhere else. I was very nervous but Aarti made me feel completely relaxed and explained everything to me. It’s very clear Aarti is very highly qualified and knows exactly what she is talking about and is very passionate about this. I would never go anywhere else and I would recommend her in a heart beat. This is my second treatment regime and I cannot express how professional Aarti Denning is. I feel very comforted that her knowledge is extensive and she explains everything that she is going to do and gives treatment options, she will never force any decisions upon you and the results are amazing. Aarti is amazing at her job! You can see her passion in it! A truly wonderful skin specialist and very professional! She really cares about her patients and the outcomes of her treatments! I had been looking into treatment for some time due to what I perceived to be a sagging neck and jowls due to ageing. After reading positive reviews I decided to visit Dr Aarti for a consultation. 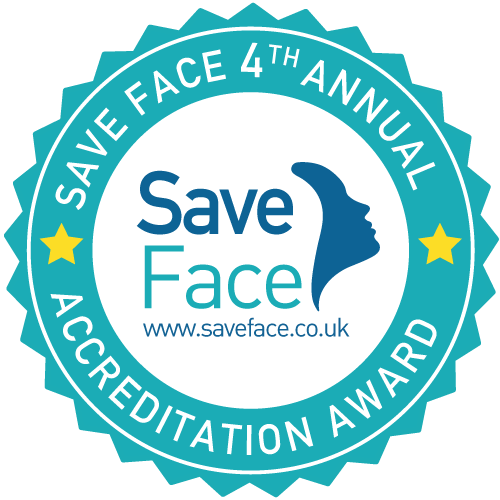 This was very thorough and explained why our faces change with age and the procedures available and what could be realistically achieved, this helped me in deciding the best treatments. I have now finished my second treatment and am extremely happy with the results, I look and feel fresher. My children have commented how good Mum looks as does my husband who loves me however I look, as this was for me. I have no hesitation in recommending Aarti, as I tell her, she is more than a doctor she is an artist and wants the best results for you. Dr Aarti is very professional,gives great advice,I would highly recommend her,I’ve had several treatments now and would not go any were else. Arti is amazing. Really caring and understanding, but gets results. Highly recommended. Very good detailed consultation asking lots about medical history and specifically looking at my muscle movement. Very caring Approach and felt at ease as in a qualified G.P’s hands. I couldn’t have wished for a more professional, thorough and pain free service and treatment. The consultation was detailed, all questions were answered and all information was covered. The treatment itself was an absolute dream and the follow up finished my tweaks off perfectly. I cannot recommend Aarti enough; my friends have now been to her as they were so impressed with my discreet amazing results. I feel very lucky to have met Dr Aarti. She is genuinely interested in the doing everything to ensure the satisfaction of her clients. She always takes the time to explain fully what her intentions for the procedures are and I know I can rely on her honesty and discretion. Thank you. I had a private GP consultation (skin and joint problems) with Dr Denning in which she was incredibly professional and provided an accurate diagnosis and treatment. I was very pleased with the results and would recommend her services to all. After having had various treatments elsewhere I was very pleased with the results of the contouring – also called the “8 point lift” done by Dr. Aarti Denning – Reverse Time. I have creases in my forehead related, i suppose, to sleeping on my front. I have previously had botox to try and alleviate the problem but dont like the ‘frozen’ look. The botox helps with the creases but doesnt altogether eradicate the problem. Aarti suggested filler to my hairline to help tighten my skin and a smaller amount of botox to control frown lines but allow movement. I was apprehensive about fillers but the results have been great. The fillers are a much better solution for the creases running from my eyebrows to top of forehead and the botox has not ‘frozen’ my expression. I will definately be going back to Aarti for further work when required and cannot recommend her highly enough! Thank you. I have been using obagi tretinoin cream since you prescribed it a year or so ago and it has changed my life – i no longer suffer from cystic acne, it has been the only thing to work. Believe it or not I’ve gone from all those hundreds of aggressive products, peels, etc, to only washing my face twice a day with water and a non-abrasive sponge. Not only have my spots been put at bay, but all the – albeit minor – scarring I had had disappeared. I have deep lines – “grooves” more like, on my forehead. They don’t improve with botox alone. have been suggested fillers, but I am terrified by the horror stories about “filler blindness”! She also corrects any defects in stages, to avoid stretching the skin. I had some numbing cream applied, then a tiny bit of pain when the “entry hole” was made, after which there I felt just a bit of pushing on my skin. Only 2 tiny needle marks, hardly any visible sign of having treatment done. Top marks to Obagi Nuderm and Dr. Aarti Denning! I always took care of my skin, but for 2 years now, many lines & uneven dark patches popped up around my cheeks chin & hairline -since I had my little girl. All the creames on telly ads didn’t do any thing. When I first consulted Dr. Aarti Denning, I was using concealer several times a day, I was keeping a poker face so i wont wrinkle more. Aarti assessed my skin thoroughly, asked me a lot of questions, and pointed out which parts of my skincare were not actually helping. She started me on Obagi system – nuderm for “melasma and sun damage”, which is not easy!! I am proud to say that 12 weeks down the line- phew!, I achieved exactly what I wanted. Thank you Reverse Time – and Dr. Aarti – and Obagi of course! You know, I am actually looking forward to doing this again next year! It can be very difficult finding a Dr you can trust who will work with you to achieve your goals. That is why I would highly recommend Aarti as not only is she incredible professional when you meet her, her honesty is refreshing and I’ve never once felt pressured into having any unnecessary treatments. I have always struggled with self esteem and with Aart’s help I find I have more confidence and actually like myself a little bit more. I know she can help you too. I was meeting a milestone in my life, fast approaching 58 years of age. I didn’t feel it inside, but was definitely Looking frayed around the edges!! I had decided to look at treatments that were effective but non-invasive, as I felt when looking in the mirror time was catching me up. I had heard good things about Dr Aarti Denning, however I chose to research her qualifications and reviews from other clients treated by her. They were all very constructive, and were happy with results achieved. Therefore I went ahead, making an appointment for a consultation. Previously I had looked carefully at the media, having heard of bad experiences, expensive treatments, and expectations not being met – Resulting in upset, and expected results not being achieved. On meeting Dr Aarti Denning, she displayed thorough knowledge of the field. She looks at you, as a patient, in a holistic way. She listened carefully to what I wanted to achieve with my procedure – the Silhouette Soft thread lift. She explained to me the possible reasons for other clients previous bad outcomes that I had heard about, and how these could have been avoided. We also discussed my medical history in detail, it is amazing how much impact your past medical history has on your skin and any treatments. It helped that I saw pictures of real people treated by Aarti, not library shots which are generally shown to potential clients. Feeling very confident I went ahead and booked for my treatment. On the day of the procedure I felt very nervous, however I was quickly put at ease, and can honestly say, felt no pain whatsoever. Every step of the way I was reassured. Having had the Silhouette Soft thread face lift, it has helped to boost my overall confidence. I must say I do feel more in control of my appearance, friends and family have noticed that I look more “bubbly”. I would recommend Dr Aarti Denning to my friends and family, and have already in fact done so – my sister is equally excited at the prospect of feeling like the self she used to be. Likewise I am eternally grateful to my friend Pam who kindly referred me. Having just celebrated my 70th birthday I decided to consider a Silhouette Soft thread lift – wanted to feel good about myself and hopefully fresher faced. I had found Aarti a year before when I had dermal filler treatments, but went ahead with the treatment only after a lot of research into her qualifications. I had read a lot of accounts online of thread lifts gone wrong, but also favourable reviews regarding thread lifts. I had two consultations with Aarti to discuss my concerns, and also to discuss what result I was hoping for. She displayed a thorough knowledge, listened and explained the procedure in detail. Also I was shown real patient results, not company distributed photos or advertisements, so I was quite sure that she had done this procedure with good effect many, many times! Personally, I felt very satisfied with everything we discussed and had no qualms about putting my face in Aartis hands. I have now had two threads inserted…the procedure was pain free, and after treatment there was no bruising, and very little swelling, I did not even require pain relief, although Aarti had recommended I take some paracetamol. That evening I went out to celebrate my new face, my skin was tighter, lifted around my jaw line, and no sagging, I felt brighter, confident and extremely happy about myself. And so very glad to have made the decision to have the treatment. I certainly would recommend Dr Aarti Denning to anyone considering this treatment. As for my friends, I do not need to recommend them as they have seen the results first hand. I have been a long term sceptic of the ‘treatment for wrinkles & fillers’ brigade, having witnessed many an appalling result. I feel that there is often a laisse faire attitude taken when embarking on matters which can (if not carefully administered) have dreadful and long lasting effects. Consequently (and after extensive research) when I finally decided that the awful frown lines between my eyebrows were becoming too deeply ingrained and needed softening, Dr Denning was the clear choice for me. She was calm and reassuring, and answered all of my questions in a confident and unhurried manner. Aarti is incredibly professional and always ensures she is doing the right thing by her patients, and never encourages excessive treatments. She listens to what your needs are, and then discusses the options. The first time I consulted with her I thought I would be told to have botox or fillers, but the strange thing was these treatments were way, way down in the list of options suggested to me. She made me look ”fresh” which matters a lot to me, I have a very expressive face and want it to express! I also like the idea of making my skin work for me, so I took her advice and took my skin routine apart and stopped doing so many things like exfoliation, washclothes, sponges, moisturiser and night cream – which took me ages anyway. At first I felt “tight” and my skin felt weird and dry. Normally I would have reached for my moisturiser, but now I massage my skin with vitamin C.
It is now 3 months I have been taking the supplements, and using the vitamin serum and sun shield from Dr. Aarti. Skin feels smooth and plump, not dry. joints are not so tight either – it is the vitamin D and calcium maybe. I have stopped using foundation, just apply a quick brush of powder on top of the sunscreen. Apparently I am “glowing” – everyone’s asked if I am pregnant! And all this with no botox! Will definitely recommend having a consultation with Dr. Aarti at Reverse Time and following the advise. I will be returning before Christmas for a once-over. I had my best ever lip refreshing filler treatment along with a multi-point filler treatment today with Dr. Aarti Denning. I have had lip filler before, I did like the results, but both times they did not look like my original lips, so I asked around, and was recommended to visit Dr. Aarti at Reverse Time. I am not looking for big lips, see, I like the shape of my mouth, but I purse my lips and sometimes chew a pencil when I am working, so they started looking a bit scrunched up. So I suppose I want to see more of my own lips, and I want them to move normally when I pucker up! Fear of having a tubular looking and obviously filled lip had put me off having fillers again for the past 2 years. Today, within minutes of my consultation I knew I wanted to proceed, as she suggested a “whole face” approach rather than lips alone. How Dr. Aarti does the lip refreshing and re-contouring is very different, only minimal pain, and quite shapely and mobile soft lips right after. My eyes look wider and my whole face looks prettier and balanced, rather heart shaped. Dr Denning was professional and very knowledgeable with a lovely ”bedside manner”. Dr Aarti has been treating me now for over 4 years. I am a beauty therapist myself, so I can usually tell if someone has the eye for proportion and natural beauty, it is an art as well as a science. When I did meet Aarti for my initial consultation I immediately at ease and felt that I was in good hands. I have now had skincare prescriptions, occasional facial injectables and dermal fillers, and I have consistently been astounded with the natural looking results. Today at a “Take control of Aging” morning at the clinic, we looked at timeline photos of me over the past few years – and guess what – I look my best right now. Loving it. Dr. Aarti is professional, highly qualified and experienced and in my opinion she has a unique flair for Aesthetic treatments which really requires an eye for detail as well as the GP knowledge and experience which helps her to advise you on what is cosmetic and what is not, such as skin problems. She is a genuine lady who is truly interested in taking the time to listen to her patients needs, helping me overcome my worries about certain procedures, and then making sure I get the best results from treatments – I cannot recommend her enough. I am a 44 year old woman, generally happy with how I look, but want to age at my own pace. Dr. Narayan-Denning is an amazing person! She put me at ease immediately I walked into her room. She listened and advised accordingly. She has a passion for her craft and I would recommend her to anyone who wants to have a professional yet personal experience. I am very pleased with the treatment and results I received. I have previously had anti-wrinkle treatment with 3 other practitioners. I am quite selective, and to be fair none of them were inadequate, but this was by far the best. The initial consultation was comprehensive and informative. It was not about treatments, but about me, my health, how my skin and body were working, how I was aging. I learned some pretty surprising facts about ageing skin and face. There was absolutely no pressure to add on other treatments. Dr Aarti Denning has a very gentle injection technique, and I found the whole process less painful than treatments in other clinics. I was given extensive aftercare information which was a new experience for me. I saw the results in a few days. I am so pleased that Dr Aarti managed to to address my concerns and soften some terrible wrinkles that previously had still been visible after treatment. Definitely will recommend this doctor. So overall an excellent experience from start to finish. I recently discovered Dr Aarti Denning after using a leading London practitioner for years. Not only has she dispelled several myths for me [!] she has proceeded on a comfortable regime with me which has not only taken years off but £££’s off the usual ‘London’ bill too! Dr Aarti provides calm and knowledgeable advice and treatment and I have complete confidence in her. Aarty is a 5* facial aesthetic doctor. I use to have quite a “flat” profile. And a T shaped crease in the middle of my forehead. Dr. Denning assessed my face, showed me why this was happening and then treated me with 2 types of dermal filler, one above my cheeks, and another inside the crease on my forehead, to give me a more flattering and feminine face. I also had botox on my forehead to keep the frown line softer. The treatment i have recieved is second to none. I am highly impressed with her work and will be returning. “I decided to have a “thread lift” – Silhouette Soft, after looking into different non surgical procedures, having had botox and fillers in the past. I did a lot of research on this procedure to make sure it was the best for me. I have just reached my 60th birthday and felt that my face now needed a bit of help. What I wanted was to look fresher and have a more “lifted” look. I was referred to Dr. Aarti Denning by a friend and I am so glad that she did. Aarti explained exactly what the procedure involved, and what she was going to do, after initially asking me what I expected and wanted to achieve from treatment. From start to finish she explained every step, making sure at all times I was not in any discomfort. I can honestly say I felt nothing except relaxed. The end result was quite subtle but now after a few weeks I can now see a change, especially when comparing before after photos. Aarti explained that it would improve over a period of time. Now feel like a younger me. Before I went to Aarti I had been to other practitioners and I was beginning to think that integrity and cosmetic procedures did not go hand in hand . Not so ,as Aarti puts you completely at ease in clean, comfortable surroundings . She istened to me with regards to my expectations and then explained as to what could be achieved. If Aarti believes that your expectations are unrealistic she will tell you honestly . I completely trust her with my face and always leave the clinic with a natural subtle result. Today is the second time I have seen Dr Aarti and I do not think I could trust anyone else. She has a fantastic relaxed manner which puts me totally at ease and at the same time is very professional and knowledgeable, always giving me the exact natural results I want from the fillers I have. Just come out of clinic today and feeling a million dollars! No-one I know will guess I have had any ‘work’ done but I can guarantee that everyone will be telling me how well and how relaxed I look in the next few months. It is great to have someone I really trust with the sound medical background and expertise she has. I definitely recommend Dr Aarti. Outstanding. Dr Aarti Narayan-Denning is incredibly professional and knowledgeable, as well as being warm and personable. I feel in completely safe hands for my treatments and I wouldn’t see anyone else. Her consultations are detailed and thorough, informing of all options to achieve the best result, with clear aftercare advice. I had dermal filler over a year ago to treat a deep line in my forehead and I’m delighted that I have only needed a slight top up after 14 months. I’ve recently had filler in my cheeks, which has given a very subtle lift. The results are fresh and natural. Just a better version of me, not looking ‘done’ in any way. I can whole-heartedly recommend. DR Aart Narayan-Denning is an excellent doctor who is totally professional while being warm and friendly. I approached facial rejuvenation with some trepidation but gained confidence as Aarti listened carefully and answered all my questions without putting any pressure on me. I had a Botox treatment and was very happy with the results so went on to have some facial fillers. I got exactly the result I wanted; looking a little younger without looking ‘plastic’. I wanted people to tell me I look good but not to ask me what I’ve had done and that is what Aarti has achieved for me. I will certainly return for further treatments and wouldn’t hesitate to recommend Aarti to others. I had Dermal Fillers (Belotero) treatment for the first time in my life that was performed by Dr Aarti Narayan-Denning. I was very impressed how professional and considerate she was. She definitely has a lot of knowledge and she does not just administrates the treatment you have asked for but after careful consideration and review of what results you actually want from the treatment provides the expert advice so you could get the most from the treatment. Aarti also has great approach to do the dermal fillers – the treatment itself was almost pain free and I did not have ANY bruising afterwards. I am very satisfied with the results – my face looks normal, just 5-10 years younger:) And I would say that it is better to judge the results perhaps about 4 weeks after the treatment. Thank you Aarti and I definitely will be coming back to you! I have have been visiting Dr Aarti Denning for some years now. I had treatments before I finally found Dr Denning, the experience with my previous treatments was that I felt the money they could make from me was more important that me. When I found Dr Denning my experience with her was a complete transformation from before. Dr Denning is a patient centred practitioner who is very passionate about supporting her patients with the ageing process. It is very important to me that I feel I am being listening to and understood after all I only have one face. Dr Denning is extremely knowledgeable and understands the science that sits behind the treatment and the outcomes that can be achieved. Dr Denning is simply the most professional, caring, empathetic and passionate person who makes you feel completely at ease. I have personally had many treatments from Botox to cheek and lip fillers and never been disappointed. If you are considering support with your ageing process then I would without hesitation email or pick up the phone to Dr Denning you will not be dissapointed. Thank you Aarti I absolutely love my new lips. It was a very professional and individual treatment. Highly recommended ! I have been a patient of Aarti for a couple of years now and without doubt she provides the best care with results that exceed my expectations. Aarti takes the time to get to know you and what you want from the procedures. Throughout the treatments she carefully explains what she is doing and why. I’ve been seeing her for three years and am always delighted with the results which are natural and long lasting. I look forward to my sessions with Aarti, it’s like therapy! Dr Denning always offers a thorough and professional approach. I have had several procedures to date including PRP, Dermal fillers and toxin treatment and am extremely happy with the results. Aarti is fantastic. She gave me some great advice, was very professional and is highly knowledgeable in every field I spoke to her about, which was very reassuring. She listened and I achieved exactly was I asked for. I wouldn’t go anywhere else!